SP 15-30mm f/2.8 Di VC USD G2 Lens for Nikon F is rated 4.0 out of 5 by 9. Rated 1 out of 5 by Cole from Extremely Decentered and Previously Returned This has been my worst B&H experience. I ordered this lens and several other items. My excitement was quickly tempered when I saw the box for this lens. It was clearly used; I immediately suspected that it had been returned since none of the other boxes included in my shipment appeared damaged. When I opened it, I was greeted with the receipt of the prior person who purchased this lens on December 12, 2018. I quickly realized why Mr. Williams had returned this lens. It was extremely decentered the right bottom (nearly 1/3rd of the frame) was extremely soft compared the extremely sharp portions of the remainder of the image. Needless to say that I have returned it seeking an exchange. I will update this review if the replacement is better. Either way, I am extremely disappointed with B&H for sending me a previously returned and defective lens. Rated 5 out of 5 by Jim from Very Good Lens! Excellent color saturation and contrast! I bought this lens 3 weeks ago. I was very apprehensive at first as this is the first time a bought a third party lens. I dropped my Nikon 14-24 while on a job assignment. It really wasnt worth the cost to repair it so I decided to buy a new lens. I only consider another 14-24 or this lens. I have finally use it enough to make some fair assessments of this lens. First thing I noticed and what really stands out about this lens is the color saturation and contrast. Definitely more noticeable and better quality than my old 14-24. The vibration reduction works great. I shoot mainly landscape and although I always use a tripod there are always moments on a shoot that it nice to take the lens off the tripod to take another photo without readjusting my tripod, especially when the sun is changing so fast. I was concerned about losing that 1degree field of view but I usually find myself shooting between 16 -21 mm. So, I can live without it. Another concern I had was the auto focus, although I find it faster and better than my 14-24 it is still not perfect. It can be slow and hunt in low light and at times could not lock in during early morning hours. I have also found some chromatic aberration while processing in some of the photos but it corrected easily in LR. One thing that I dont care for and still struggling with is the location of the focus and zoom ring. They are in reverse from my Nikon lens. Overall, I am happy with this purchase. I think it is a well made lens and an improvement optically over the 14-24. The picture quality is amazing and in some regards sharper than my old lens. I hope Nikon decides to make an updated version of the 14-24 as I still hold that lens in high regards. 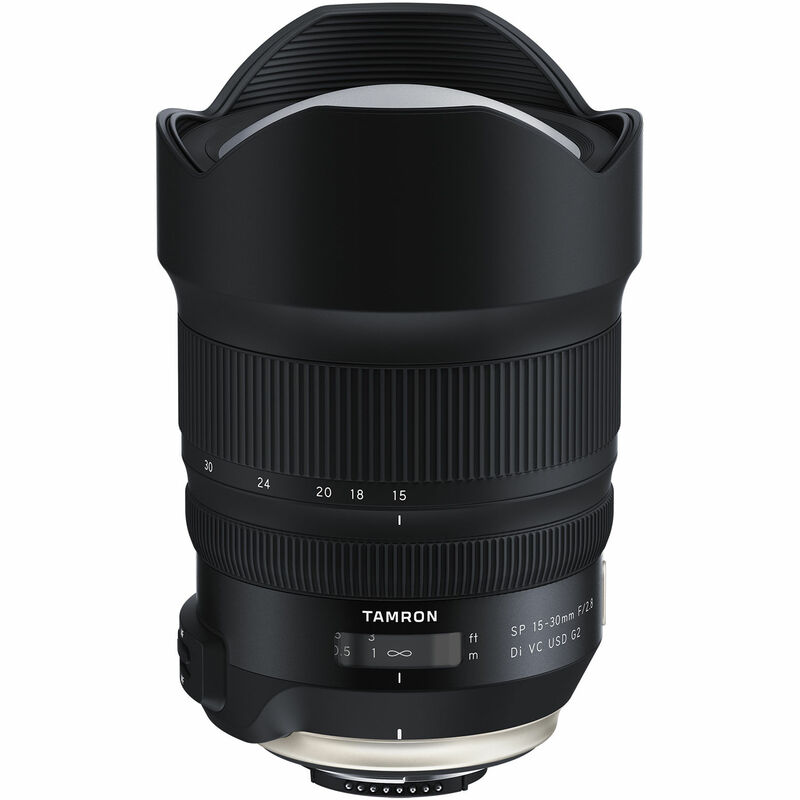 However, in the mean time until they do I believe this Tamron 15-30 2g is the better option of the 2! Rated 4 out of 5 by Roy from Seems to be doing the job pretty well... Ordered this lens from B&H a week ago to pair with my D850. As far as I can tell everything is in good working order. No noticeable decentering, AF issues that I can detect, at-least not with my copy. Lens output together with D850 provides very good center and mid-frame sharpness rolling off a bit at extreme edges. F/4 to f/8 probably optimal aperture range, but still very decent at f/2.8. Color, contrast, general rendering appears more than satisfactory. Flare suppression appears to be very good and ghosts are generally small and easily cleaned up in Lightroom. Lens distortion also appears to be well managed for an ultra wide zoom. VC is effective, but is quite audible in producing a constant buzzing, hum when on when AF-ON and/or shutter release are activated. Not anywhere near as loud as a shutter release for example, but quite noticeable. I knew lens would be a beast before buying it, but was still taken aback by how stout and meaty it actually is in the flesh. This doesn’t bother me as a like the overall feel together with the D850 and I personally don’t have issues with lugging heavy gear on hikes, etc. Build quality and feel are excellent. For me the 15-30 G2 feels more substantial and solid that the sister 24-70 G2 lens. This is my first full frame UWA zoom (only used DX format UWA lenses before now) and partly because I don’t really have anything to directly compare to and partly because of the humming VC I have rated 4 stars. Two desert scenes attached below. One with Saguaro cactus in right foreground was shot at 15mm, 1/200th, f/8, ISO64 and one with yellow bush in right, lower foreground shot at 15mm, 1/125th, f11. Rated 5 out of 5 by Tomas from Great Lens. Heavy though. Love this lens wide open. The VC is a huge plus, and Ive handheld this to 1/10 sec with excellent quality. Its big, heavy, and I have nicknamed it The Brick; and I still love to carry it around. 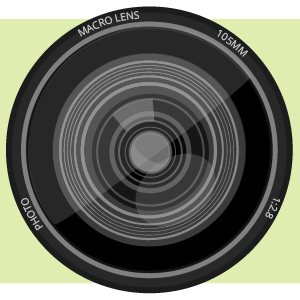 I wish all my other lenses had the Florine coating this lens, which really helps in repelling particles. I looked at other lenses in this focal range, and found this one to be the best. Rated 4 out of 5 by Jeff from Solid build but not compatible with Z6 using F2Z adapter As soon as I got it out of the box, I was delighted at the solid construction. I couldnt wait to mount it on my Z6 with the F2Z adapter but sadly, it is currently not compatible. I get an error message Error: Please press shutter release again. Upon further investigation, Tamron is working on a firmware update that may or may not give it complete compatibility. So, dejectedly, I have to return this beautiful lens until the problem is fixed. Rated 5 out of 5 by Kurt from Very solid and great contrast and color Ive had this lens for a bit now and just love it. This winter Ive been out in all kind of weather extremes living in the Adirondacks. From -15 to blizzard and sunny cold days. Lens is holding up great! Hasnt let me down yet. Rated 5 out of 5 by Bryan from Exceptional value! I am very happy with this purchase. Great build quality, great optical quality, and weather sealed. Rated 5 out of 5 by Ted from This lens rocks! Only had it a few weeks but so far Im very impressed! Is this the new SP 15-30mm F/2.8 Di VC USD G2 (Model A041) for Nikon released in September 2018? 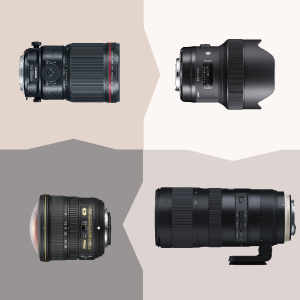 Is this lens optically improved compared to its predesessor? Sharpness, flare resistance etc? Or is it more about additional bells and whistles? Fluorine coating, improved VR, etc? I was told by Tamron at the PhotoPlus Expo it's pretty much a new lens top to bottom (I never used the 1st generation so I can't comment about it). The G2 has better optics, better coatings, new AF motor, better stabilization. I tested it with my D810 on a tripod at f2.8 and f4. It's very very good wide open. Even sharp in the corners at 15mm. Stopping down to f4 made little difference. It's certainly better than my Nikkor 17-35mm f2.8 and the Nikon costs a lot more and doesn't have stabilization... I'm going to ditch it for the Tamron soon.